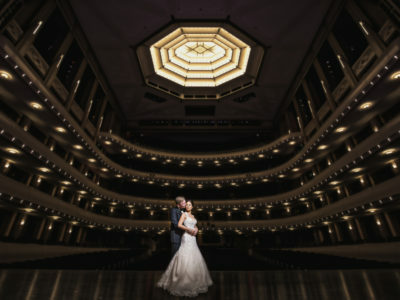 Cameo and James Gollmer have been an amazing adventure of a couple to work with, beginning at their engagement session. We took a few shots down near the arts district and then Jimmy showed us around the new parts of Downtown Las Vegas where we explored the renovated Gold Spike while waiting for the sun to set. The plan was to get some night pictures with some more classic looking Vegas lights. Jimmy works downtown and already had a mental list of places to take us. I think he was just as excited as we were to be discovering these new locations for pictures – and we were pretty stoked. Stephen and I followed Cameo’s lead and trusted he knew where he was going even as we drove down some pretty dark streets. Each location was better than the last and we got some really unique shots- full of lights and dark blue skies. At the end of the night we had shared a meal and trusted them in a dark alley…. we have to be at least more than acquaintances now. 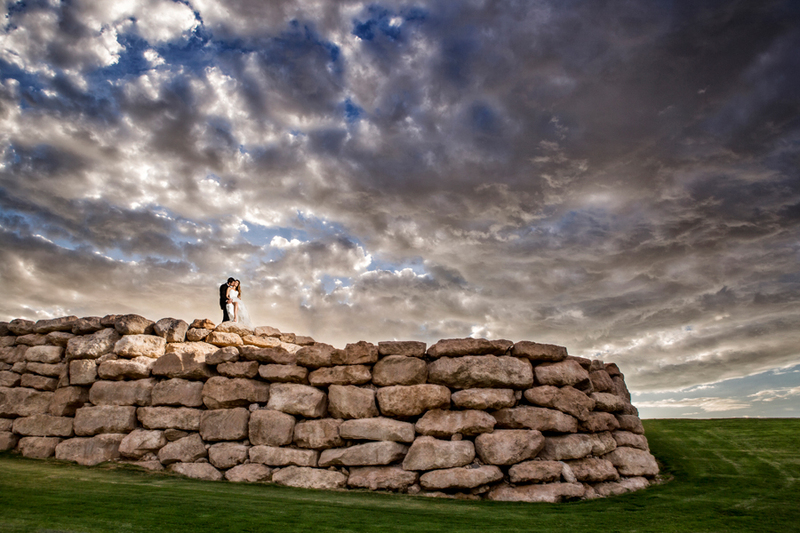 The couple’s wedding day at TPC Summerlin was no exception for firsts for us. We witnessed so many tender moments while Cameo, her bridal party and family got ready. That is inevitable when the mother of the bride styles her daughter’s hair before her walk down the aisle. Then, Cameo was surprised with the bridal bouquet of her dreams after she got into her dress and was able to pose for some elegant beauty shots before she went to meet her groom at the alter. Everyone’s eyes welled with tears watching James and Cameo share a few unforgettable moments of intimacy as they formally pledged their love and loyalty for always… and then James was invited to kiss his bride. And he did. Grabbing his wife he kissed her while he threw a championship fist in the air. As his fist went up the bridal party fired enormous confetti cannons into the sky! I can’t think of a better way to commence a celebration.